May 15 at 7:00 p.m.
May 16 at 7:00 p.m.
May 18 at 2:00 p.m. & 7:00 p.m.
critical thinkers, and compassionate contributors. 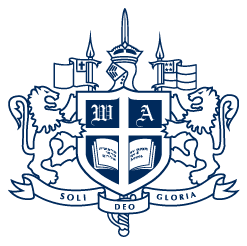 Westminster Academy is a Christ‐centered, biblically‐based college preparatory school dedicated to equipping covenant students to excel by using their gifts and talents for God’s glory. Since 1971, Westminster Academy has served South Florida’s families and students as a Christian school with a focus on academic rigor and faith formation. Students from preschool through twelfth grade are challenged to become exceptional thinkers, lifelong learners, and influential leaders with a biblical and scholarly perspective for college and life. I was able to receive a high‐quality Christian education that has shaped me as a person and provided me boundless opportunities. I am forever grateful to Westminster Academy. Westminster Academy helped train my children to be Christ‐centered leaders and today they are. It has proven to be the best investment I could have made in the future of my children. Thank you, WA! born fruit through the worldwide ministry of OneHope. I am proud to say I teach in the high school and there is no place I would rather be. Westminster Academy provides the best Christian education in South Florida. The academic standards and expectations are high and our students rise to achieve these standards. Through classes at WA, I managed to gain many college credits that I used to jump‐start my college education and allowed me to have the time and freedom to pursue a dual degree in Spanish and Biology. The quality of the classes at WA also prepared me for college courses, from the arts to the sciences. The Biblical worldview taught at WA, and the priority placed on studying and memorizing the infallible Word of God has been instrumental in my writing and teaching. Numerous class offerings in music, band, chorus, and orchestra. 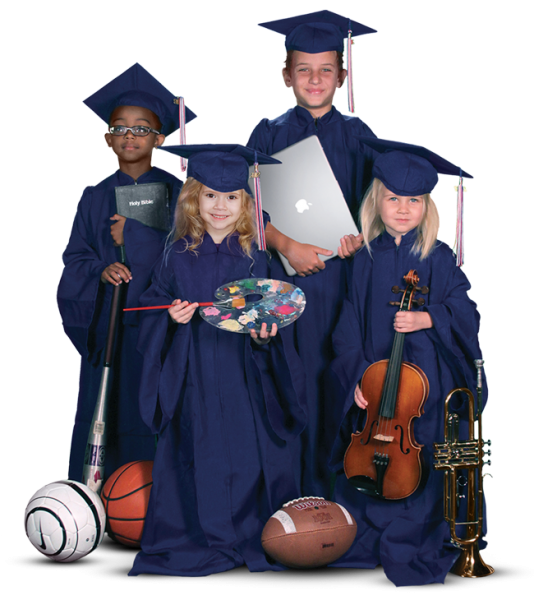 Students receive an age‐appropriate background in the fine arts beginning in PK2. Students in grade 7–12 can be a part of FIRST Robotics where they can learn about teamwork and technology together. The Harvard Model Congress exposes students to political theory, and process, with a large focus on current events. From preschool to commencement, the unique experience at WA develops a deep sense of community that lasts a lifetime. The Westminster Academy Lower School was selected to be a 2014 National Blue Ribbon School for being an Exemplary High Performing School. Dynamic student assessments throughout the year deliver metrics used to drive individualized curriculum adjustments. An age‐specific, integrated Bible curriculum, weekly chapel services, and spiritual retreats in Upper School all come together to provide a strong spiritual foundation. Upper school students learn to interact with technology responsibly as they use iPads (grades 6–8) and MacBooks (grades 9–12) to go beyond textbooks. Upper School Principal opportunity for the 2019–2020 school year. Tickets Are On Sale Now For Peter Pan, JR.! The founders of Westminster Academy envisioned an institution devoted to Christ and dedicated to excellence; and for more than four decades, our school has aggressively and faithfully pursued that calling as South Florida’s leader in providing a Christ-centered, biblically-based, college preparatory program. Westminster Academy is mission-driven. It is committed to Christian scholarship. It is intentional about aiming for kingdom impact. The time a student spends in school represents the single largest allocation of time of their pre-adult years—nearly 16,000 hours. They are also the most formative. Westminster Academy stands ready to maximize those hours. It is a place where rigorous scholarship links with spiritual formation. Our programs—academics, athletics, and the arts—and our faculty are focused on engaging students. It is our desire to join with like-minded families to capitalize on the value of the church, school, and home relationship. Westminster Academy is indeed a special place. Students soar to great heights from our classrooms, athletic and performance venues, and from their relationships with faculty. It is a place where students are challenged and called to be part of a greater story—God’s story. Thank you for visiting our website. It is my hope and prayer that you will discover that Westminster Academy is a worthy partner in the education of your children.